Future Ready with the Library Cohort 2 members collaborate during the Denver face-to-face meeting. Do you work with youth in a small, rural, or tribal library of any kind? Would you like to help middle schoolers start to think about how they can turn what they love to do and are interested in into a career? Do you want to join with your community members to support the success of middle school youth and their families? Are you interested in learning more about teens, community engagement, connected learning, and college and career readiness? 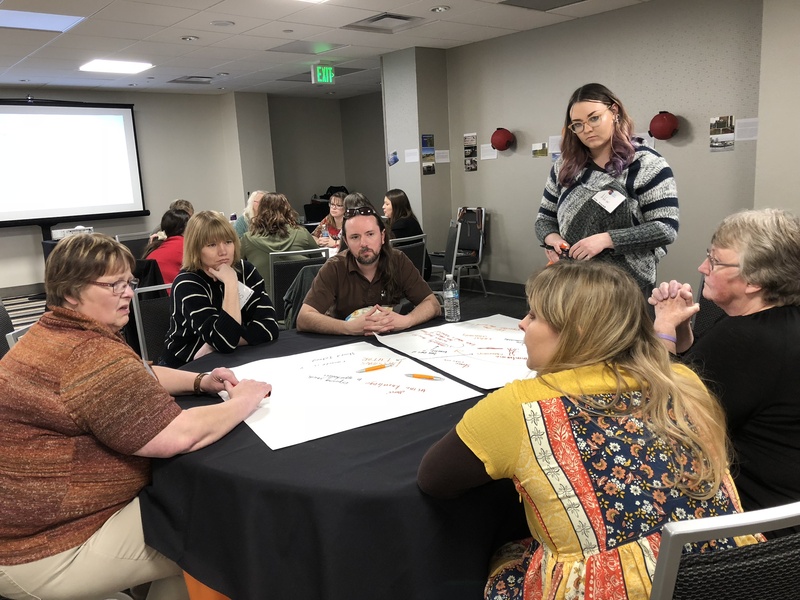 If you answered “yes” to the above questions then it’s time for you to consider applying to participate in the third cohort of YALSA’s Future Ready with the Library IMLS funded project. The application period runs from April 9 to May 15, 2018. All are welcome to apply, regardless of job title or type of library. Note: ALA/YALSA membership is not required to apply.